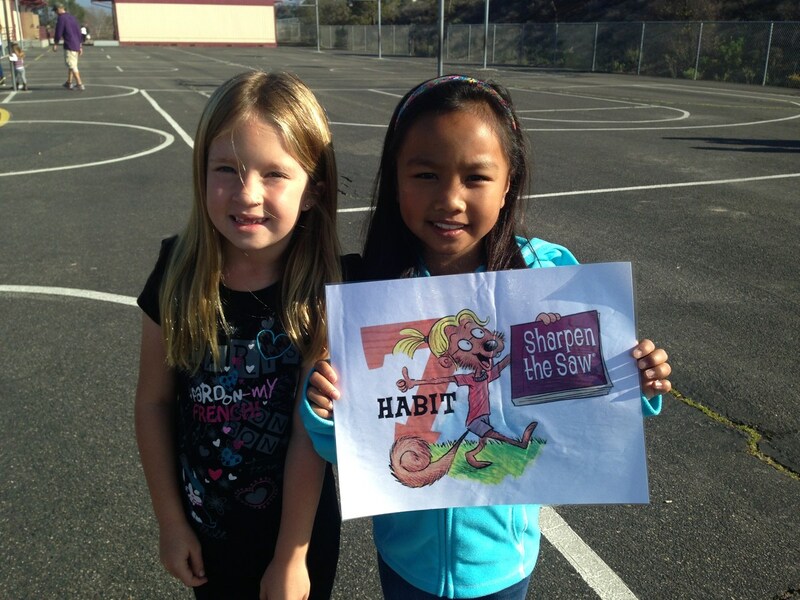 The Fallbrook Union Elementary School District has embraced and implemented The Leader in Me approach in developing a culture of leadership in all of our schools based on The 7 Habits of Highly Effective People® by Stephen Covey. Founded on internationally recognized and universal principles, The Leader in Me model emphasizes skills parents, teachers, and business leaders want and students need to be successful in an ever-changing society – skills of accountability, adaptability, initiative, self-direction, responsibility, problem solving, communication and teamwork – and they are taught and developed in our students. Developing a culture of leadership in our schools is about inspiring children to be leaders of their own lives; it helps them identify their own unique talents and abilities and encourages them to make a positive difference in the world. The Leader in Me is not a program or a curriculum. It is an integrated approach to leadership development that will help our District fulfill its mission to prepare each of our students for success in high school, college and career. Implemented “Lighthouse Leadership Teams” in every school to further develop and implement The Leader in Me Approach throughout the District. Provided training for over 600 staff members and PTA leadership teams in The 7 Habits of Highly Effective People® by Stephen Covey. Completed Implementation Training for all district employees. Obtained long-term support from the Panda Cares Foundation to sustain The Leader in Me implementation for years to come. Read The Leader in Me, 2nd Edition, by Dr. Stephen R. Covey. Ask your child about the 7 Habits. Visit the Fallbrook Public Library to check out The 7 Habits of Happy Kids by Sean Covey and read it to your kids. Talk with a member of your child’s school PTA Executive Board about it. Begin with the End in Mind (Habit #2): Set a goal, track progress and celebrate!Read The 7 Habits of Highly Effective Families by Dr. Stephen Covey. Model the 7 Habits in your family. Attend an upcoming 7 Habits of Highly Effective Families training taught by one of our school Lighthouse Leaders. I have a "Can Do" attitude. I choose my actions, attitudes and moods. I don't blame others. I do the right thing without being asked, even if nobody is looking. I plan ahead and set goals. I do things that have meaning and make a difference. I am an important part of my classroom. I look for ways to be a good citizen. I spend my time on things that are most important. This means I say no to things I should not do. I set priorities, make a schedule, and follow my plan. I am organized. I want everyone to be a success. I don't have to put others down to get what I want. It makes me happy to see other people happy. I like to do nice things for others. When a conflict arrives, I help brainstorm a solution. We all can win! I listen to other people's ideas and feelings. I try to see things from their viewpoints. I listen to others without interrupting. I am confident in voicing my ideas. I value other people's strengths and learn from them. I get along well with others, even people who are different from me. I work well in groups. I seek out other people's ideas to solve problems. I know that "two heads are better than one". I am a better person when I let other people into my life and work. I take care of my body by eating right, exercising, and getting sleep. I spend time with family and friends. I learn in lots of ways and lots of places.